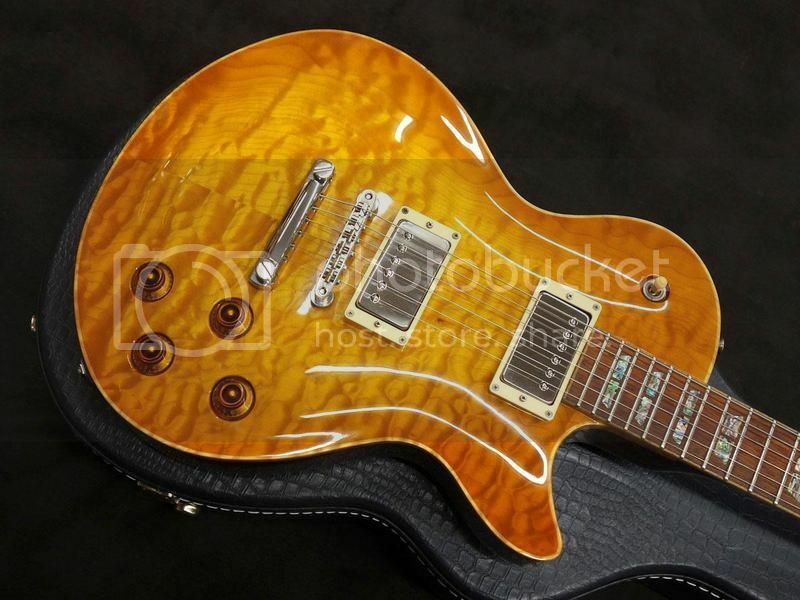 Tokai Forum - a subsidiary of TokaiRegistry.com :: View topic - Is History Just Plain Better than Gibson? Is History Just Plain Better than Gibson? Posted: Tue Jan 26, 2016 5:42 pm Post subject: Is History Just Plain Better than Gibson? I have been playing my History ZSA-CFS (ES335 clone) recently, and I have also picked up a new Gibson electric. (ES195). 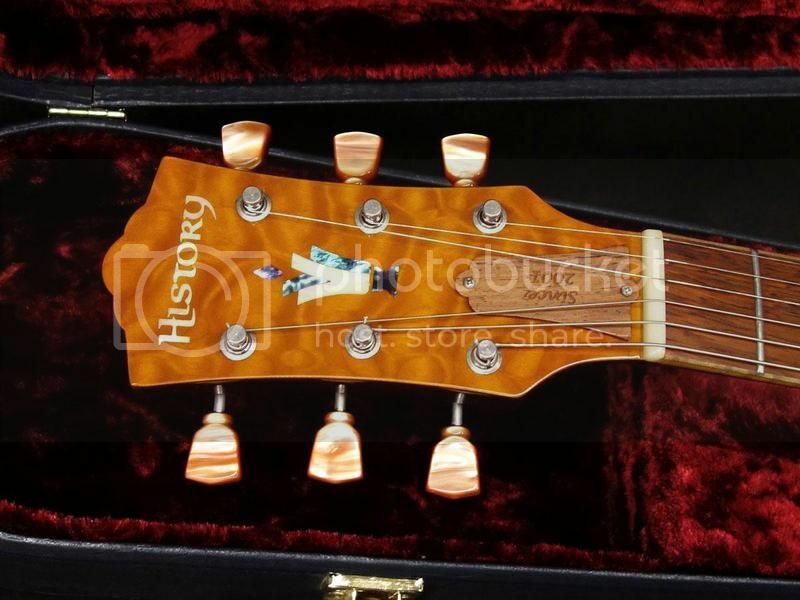 The History is a relatively cheap guitar. You can find used ones online for around 800 USD. But when I compare it to the Gibson, it doesn't just seem comparable. It seems completely superior in every possible way, except for the action. Gibsons are run through a Plek machine prior to shipping, so I suppose it makes sense that the Gibson's action is just as good as the History's. The History's workmanship is flawless. The wood is perfect. The hardware is top-notch. The Gibson, on the other hand, has finish problems and a defect in one fretboard marker. It just generally feels like a lower-grade instrument. Am I missing something here? I would love to get a nice ES335-355 with single-coil pickups and a Bigsby, but it really looks like it would be a major step down from Japanese. I have a 1990s Blueshawk, which is a great player's guitar, and the finish is not good. I have a 1966 J200 which looks like it was a masterpiece when it was new. Not sure what to think. Just because it says Gibson on the headstock doesn't mean it's automatically a better guitar. As far as i know History brand guitars were all made by Fujigen, and they are no slouches when it comes to making a guitar. I have an old History Jazz box that i picked up 2nd hand locally for $300 Canadian, with the original hardshell case. I'm with you. Why buy overpriced goods ?? I don't even want to know what Gibson would want for a similar guitar. Last year I picked up a high end 2005 History SH-L2. 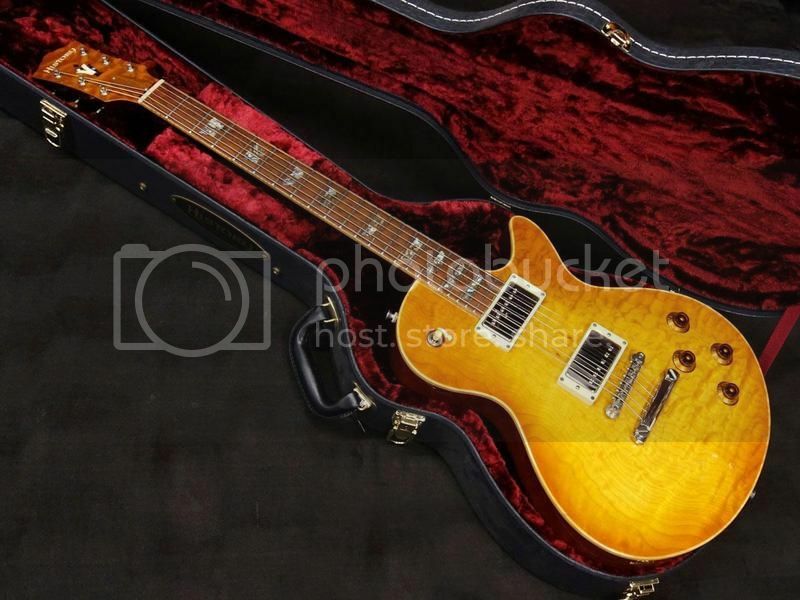 Spec-wise, it is on par with my Tokai LS-320 and anything that comes out of Gibson's Custom Shop. 1 piece Honduras Mahogany body, Jacaranda Rosewood fretboard, maple neck binding, quilted maple top. Made by Fujigen with great fit and finish, playability and tone. It wasn't cheap, but about half of what I paid for the 320 and probably about a third or less for what a comparable Gibson would cost.